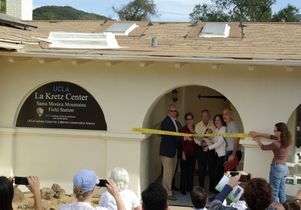 UCLA's La Kretz Center Field Station opened Tuesday, Jan. 22, in the Santa Monica Mountains, providing a new headquarters and center of operations for the university's La Kretz Center for California Conservation Science. The field station is housed in facilities provided by the U.S. National Park Service and is dedicated to improving conservation science in the greater Los Angeles area. 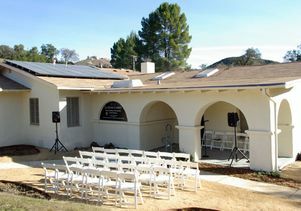 It was renovated through the generosity of philanthropist Morton La Kretz to serve as an off-campus location for meetings, small classes, workshops, overnight guests and research support. 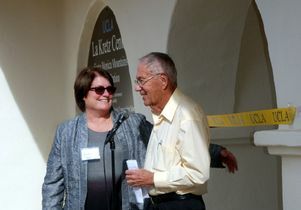 The station will serve as the headquarters for the La Kretz Center's activities with its three primary partners — the National Park Service, California State Parks, and the Mountains Recreation and Conservation Authority. The center, based within UCLA's Institute of the Environment and Sustainability, unites UCLA researchers with scientists and managers from its partner agencies. "This collaboration ensures that the university's latest science reaches park managers and that UCLA scientists learn what research is most needed," said Glen MacDonald, director of the Institute of the Environment and Sustainability. "It also provides us with the opportunity to work with top-notch scientists, managers and other staff in these agencies on real problems that will help our region. UCLA provides the agencies with cutting-edge research, and the benefits flow both ways." 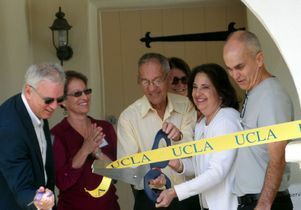 Creating the field station is a project that began three years ago when La Kretz, a UCLA alumnus, provided an endowment to create the La Kretz Center. "Morton La Kretz has a long record of contributing to and supporting environmental research, and this is another example of his commitment and philanthropy," said Victoria Sork, dean of the UCLA Division of Life Sciences. "His gift will make sure we translate conservation research on campus to conservation practice in the field." 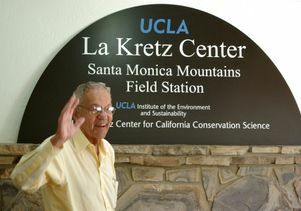 As the off-campus headquarters for La Kretz Center activities, the field station will encourage more people to do conservation research in the Los Angeles area, said conservation biologist Brad Shaffer, director of the La Kretz Center and a UCLA professor with joint appointments at the Institute of the Environment and Sustainability and the department of ecology and evolutionary biology. "Having a home base in the middle of the Santa Monica Mountains makes it much more attractive to do research," Shaffer said. "For the first time, we have a building where students, researchers and our agency partners can work, brainstorm and stay in the mountains." The search for a center headquarters came to fruition when the National Park Service made the property available to UCLA through a joint-use agreement. 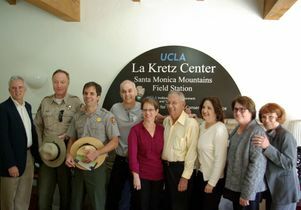 "The La Kretz Center Field Station will bring UCLA's world-class research to bear on challenges facing one of the nation's largest urban national parks," said David Szymanski, superintendent of the National Park Service's Santa Monica Mountains National Recreation Area. 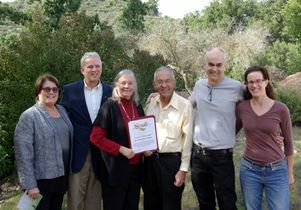 "Our work together will help us to better protect and restore Southern California's Santa Monica Mountains." A small grant program to jump-start graduate students' research on local conservation management projects. A program to recruit post–Ph.D. scientists to UCLA to work with the La Kretz Center and its agency partners. The California Conservation Genomics initiative, which will use cutting-edge conservation genomics tools to examine how well California's public lands are protecting endangered species. 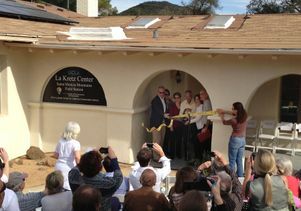 The field station will provide a welcome respite for field researchers who need 24-hour access to their study sites, said Felicia Federico, an environmental scientist and executive director of the La Kretz Center. 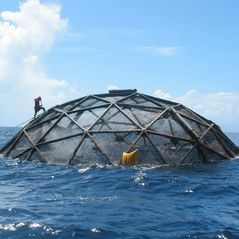 "Research doesn't take place just during business hours," Federico noted. "In addition to supporting research generally throughout the mountains, we see an exciting opportunity for the station property itself to host focused research." A major collaboration will take place during the upcoming spring break, when Shaffer will lead an annual Conservation Genomics workshop at the field station. A team of instructors will demonstrate to graduate students from UCLA and other universities how genomics can aid in conservation planning. Biologists from the center's agency partners will kick off the program, driving home the message that conservation researchers need to get involved with land managers from the start. "Working with the agencies on the ground — from conceptualization through completion — gives us our best guarantee that our science will be meaningful," Shaffer said. "Our agency partners have an incredible cadre of scientists to offer and the know-how to make our science more relevant and applicable." Santa Monica Mountains National Recreation Area (SMMNRA) is the largest urban national park in the country, encompassing more than 150,000 acres of mountains and coastline in Ventura and Los Angeles counties. A unit of the National Park Service, it comprises a seamless network of local, state, and federal parks interwoven with private lands and communities. As one of only five Mediterranean ecosystems in the world, SMMNRA preserves the rich biological diversity of more than 450 animal species and 26 distinct plant communities. For more information, visit www.nps.gov/samo. Left to right: Victoria Sork, Glen MacDonald, Fran Pavley, Morton La Kretz, Brad Shaffer, Felicia Federico.